Brazil isn’t the first country that comes to mind when you think about Forza, but the number of players located there is growing faster with each passing year. Phelipe “ZooM” Reis is one of those players, and his continued success in the Forza Racing Championship has led him to joining Sauber Esports, the official esports team of Alfa Romeo Sauber F1 that’s operated in conjunction with Veloce Esports. 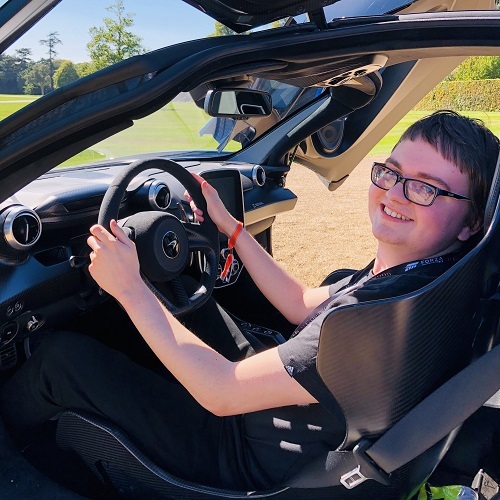 Phelipe has been playing video games since he was 3 years old, but he was always passionate about cars and racing – and loved Formula 1. When he first got his PlayStation 2, he would pretty much only play racing games like Burnout, Need for Speed, and F1. However, he wouldn’t start playing Forza until he acquired his Xbox 360 and Forza Motorsport 4 a few years down the line, but even then, he exclusively played career racing. Phelipe grew up in a state located at the southeast of Brazil called ‘Minas Gerais,’ but he couldn’t afford too many games due to elevated prices. “The situation was not the greatest at home,” he recalls. Phelipe started on Forza Motorsport 4 as his introduction to the Forza franchise and focused on career mode, which allowed him to discover the tracks, cars and customization available in the game, as well as Forza’s unique and accessible handling model. However, it wouldn’t be until Forza Motorsport 5 when Phelipe would start playing Forza competitively. 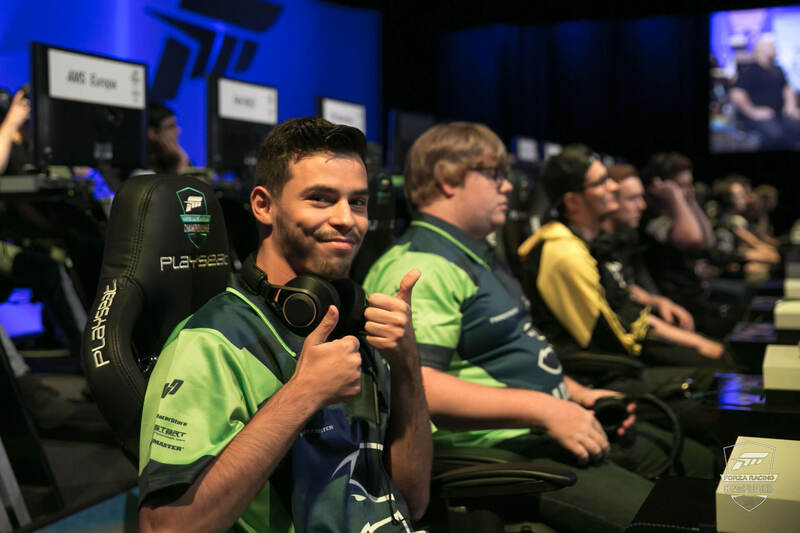 He bought his Xbox One console in January 2014, and since then, he’s been on his way to becoming a professional esports player. 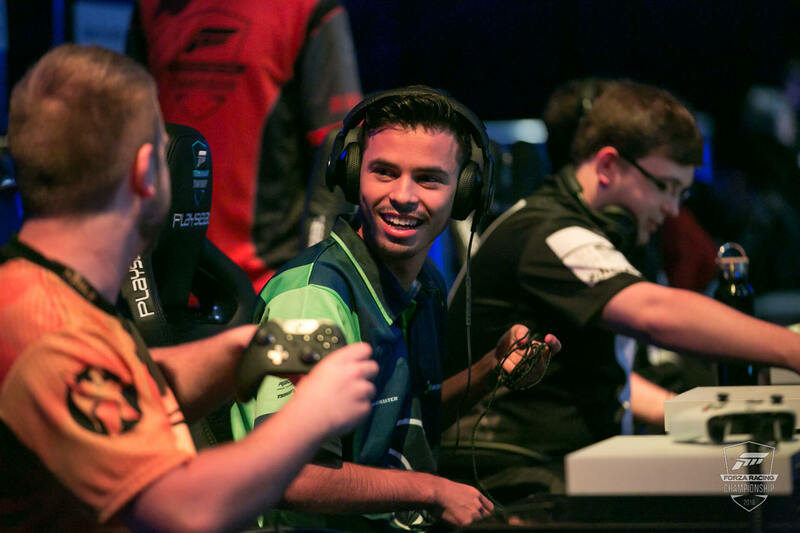 His early days on Forza Motorsport 5 introduced him to other players like ‘FRF Cezar,’ ‘SBR Blackout’ and ‘SBR Ssoloking,’ all of whom helped Phelipe to truly get a grasp of the game. He became focused on leaderboards and public hoppers with his friends, and with eventual practise and time, he became the best Brazilian player within a year on the game – battling it out with other titans in the community such as ‘Chronic’ and ‘DTM Lionel’ for world records on the leaderboards. With the 2018 season of the ForzaRC, Phelipe believes he’s been able to improve his skills throughout the year. “I’m feeling very pleased with my performance,” he tells me. Once he beats Wesley in his region, the racing becomes easier for Phelipe in comparison to EMEA and NA. That allows him to garner many points and achieve the incredible leaderboard position he now has. 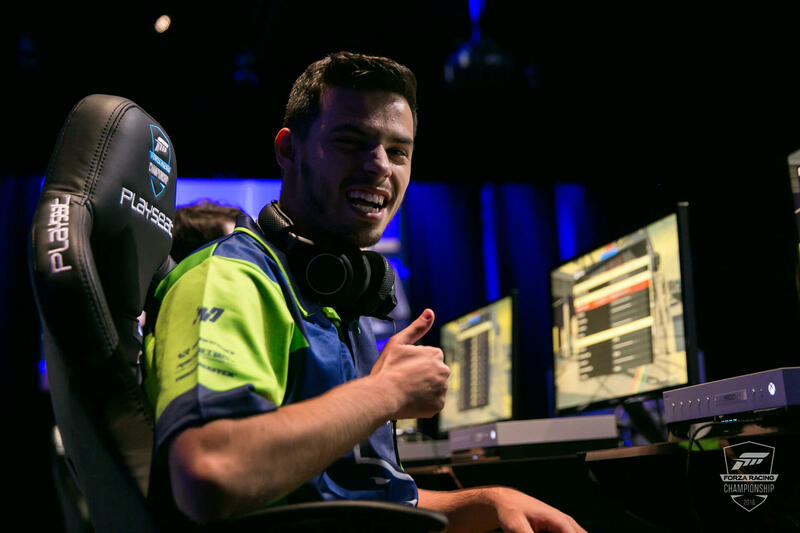 Currently, the 18-year-old Brazilian Forza player is number one globally in terms of Forza Points on the ForzaRC leaderboard, and with 3 second-place finishes in the Rivals Qualifiers, Phelipe continues to not only make improvements in his driving but show his overall strength and skill level out on the track. Right now, Phelipe is currently racing for the Veloce-backed Sauber Esports team, and this is something he most certainly can be proud of. 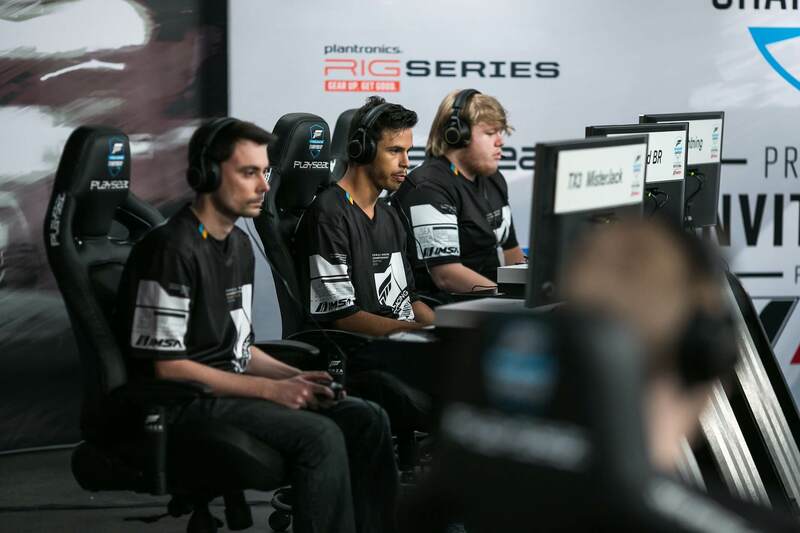 It sets him up for not only the remainder of the ForzaRC 2018 season, which consists of the Series 2 Playoffs in Mexico City on the weekend of September 28th-29th and the Forza Racing World Championship finals in London, England on the weekend of October 20th-21st, but also the future of Microsoft’s premier racing esports series on Forza Motorsport 7. In terms of Forza Motorsport 7, both the game and esports series Microsoft has developed for it, Phelipe believes that it’s heading in the right direction now – specifically mentioning Turn 10’s commitment to listening to the community and asking ForzaRC drivers for their feedback. He noted that this doesn’t only show a commitment to improving the game and adding new features based on player desires, but it also shows Microsoft’s faithfulness in the Forza Racing Championship. Overtime, Phelipe hopes Forza Motorsport 7 and the ForzaRC continues to evolve based on fan-feedback with improvements regularly introduced into the core gameplay experience to make it better and more enjoyable for everyone. Phelipe will visit two more destinations in 2018 that he’s never visited before. These include Mexico City at the end of September for the Series 2 Playoffs, and of course, the beautiful English capital of London for the Forza Racing World Championship finals being hosted this October. “Visiting new places is always very exciting,” he tells me, before mentioning that his starting pole position at Mexico gives him “a huge chance” at making his way through to the finals whilst fighting for that podium finish. “If all of this goes right, I will be in a great position for the London world finals,” he adds. 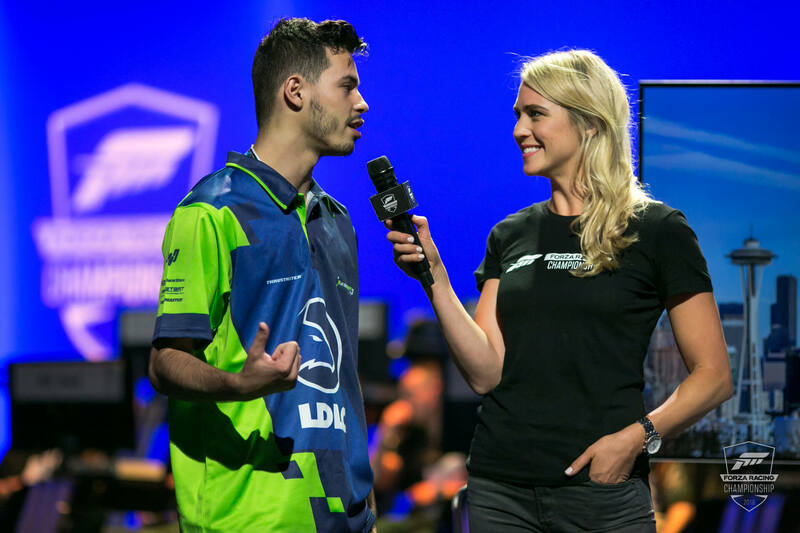 Thanks to Phelipe “ZooM” Reis for taking the time to speak us amidst all his practise for the upcoming ForzaRC Series 2 Playoffs on the weekend of September 29th. You can follow Phelipe over on Twitter and Instagram to stay up-to-date with his racing performance.